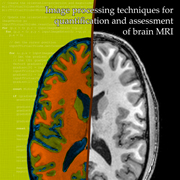 This year, the Donders Institute presents five 3-4 day “toolkit workshops" about research methods for imaging and investigating the brain. Fee: Senior participants € 300. The (PhD) student fee € 150. Registration fee includes coffee/tea and Dutch sandwich lunches. The Fondation Ipsen organizes a symposium with all the celebrities in connectomics, in Paris, May 05, 2014. See the program below or all details in this pdf. international training course from February 24 - 28, 2014 in Munich, Germany. of data from intra- and extracellular electrophysiology. Read more about Brain Innovation B.V.
INCF is entering an exciting new phase of growth and engagement with major international brain initiatives, and is therefore announcing a reorganization at the secretariat to prepare for increased collaboration and coordination of the global neuroscience community. Are you a student at a Dutch university or professional school and have you worked on a medical device for your final project? Then you should apply for the IMDI-TALENTPRIJS! The main criteria are a) innovation b) relevance for medical care and c) commercial applicability. Apply by June 30th, at the ZonMw IMDI website.